Ancient Vinnytsia, a pearl hidden among the golden wheat and sunflower fields, is one of the most beautiful and cultivated cities of Podolia. The secret to its charm lies in the combination of luxurious nature, plethora of historical monuments, and unique local character and hospitality of the locals. Spread over picturesque banks of Southern Bug, Vinnytsia began its existence in 1362, when Lithuanian Duke Olgerd, having defeated the Tatars ruling the territory, presented these lands to his nephews - Fedir and Konstantin Koriatowiczes. They founded a wooden fortress here, which later grew and became a city. 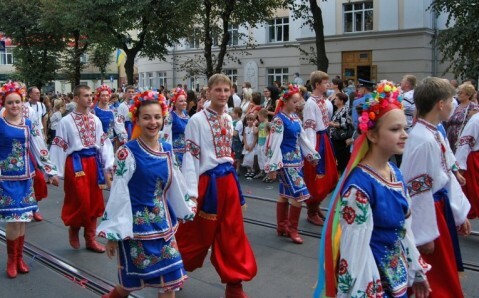 In the 15th century, Vinnytsia came into the possession of Poland. Due to its favorable location (at the intersection of important trade routes), it becomes a large trade center. The city experienced another boom in the 18th century, when it was already a part of Russian Empire. A newly built railway system near the city helped to facilitary its fast growth. The Second World War period in Vinnytsia is closely connected to Hitler’s notorious headquarters "Werwolf,” which were built not far from the city. To clear the territory for Fuerer's shelter, over 40 thousand people were uprooted and, later, killed. Fifteen more thousand people, mainly those involved in the construction, were killed after their task was complete – Hitler was afraid that they would reveal the shelter’s secret location. In 1944, the headquarters were blown up, and all that remains today is a pile of concrete slabs. Nevertheless, this place is steeped in legends and rumors, and it attracts history-lovers and curious travelers. 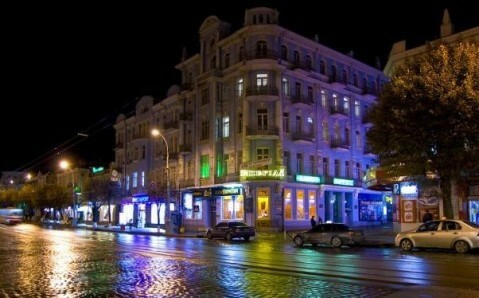 But the main charm of Vinnytsia lies in its architecture. The best way to admire its elegant cathedrals and houses is to take a leisurely walk around the city center, taking advantage of the city’s coziness. Sobornaya is the main street, where the majority of architectural monuments of Vinnytsia are concentrated. 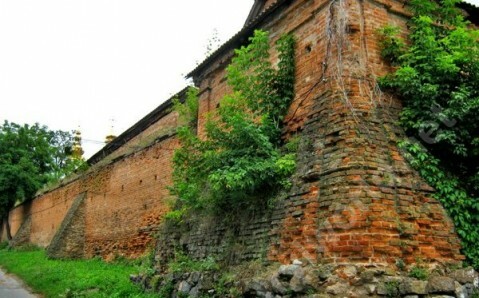 You can find here the most ancient sight of the city, the "Vinnytsia Moory” (walls). It is a complex of defensive constructions of a Jesuit monastery, built in the 17th century: massive brick walls with towers surround the church, the collegium and the building, where the Jesuit monks used to live. Later on, a Dominican monastery and church entered the defensive complex, which subsequently was rebuilt into Orthodox Transfiguration Cathedral. 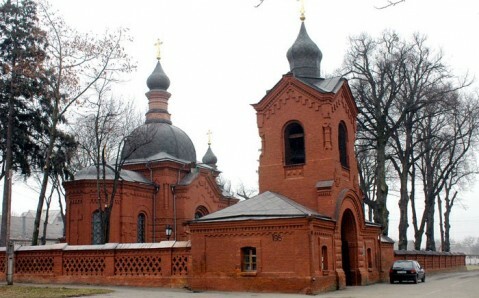 Nowadays, it is considered one of the most beautiful religious buildings of Vinnytsia. One of the Jesuit monastery buildings is occupied by the Museum of Local History, renowned for its large collection of unique exhibits. The most famous of the exhibits shows rare objects from the Scythian period and a mammoth’s skeleton, which is over 30 thousand years old. 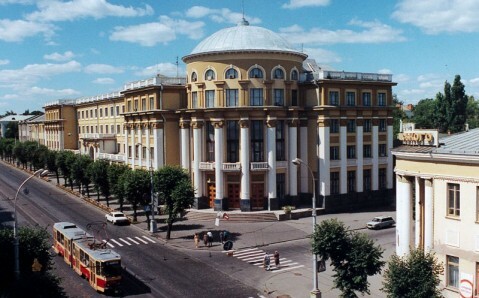 Vinnytsia’ pride is the National Pirogov's Estate Museum, named after Nikolai Pirogov, a scientist, inventor of anesthesia and military surgery. The museum is located on the territory of an old estate, where the famous scientist spent the last twenty years of his life. On this territory, you can see an exhibit describing Pirogov's life and achievements, a drugstore museum, and the Church of St. Mikola, where the scientist is buried. 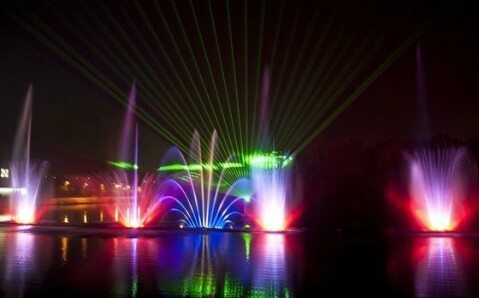 In 2011, Vinnytsia acquired yet another landmark, the light and music fountain, which is the biggest in Europe. Now, every evening, the locals and guests have a chance to watch a wonderful show of water and light! Vinnytsia’s outskirts are no less attractive. The main attraction for lovers of extreme sports are the rushing waters and abrupt rapids of the Southern Bug and Dniester Rivers, which are perfect for white water rafting. Architecture enthusiasts can find numerous palaces and estates throughout the region. And music aficionados have a chance to visit Pyotr Tchaikovsky's Museum that is situated in the former estate of Maecenas von Mecks in the picturesque town of Brailov. The riches and beauty of Vinnytsia are countless. But the most distinct feature of this wonderful city is its special cordiality and unique aura, which cloaks each person that visits. Para empezar me gustaría agradecer la descripción que ofrecen de la ciudad de Vinnitsa, trasmite mucha emoción y anima a ir. Merece la pena ir, sobre todo fuera de la ciudad por los alrededores hay unos bosques maravillosos, eso sí no ir sin algún lugareño que os acompañe pues es muy fácil perderse, a los amantes de rutas se lo recomiendo al 100% disfrutareis de unos paisajes preciosos en cualquier época del año. Cabe destacar la cocina, aquí es de lo más tradicional y, hay que reconocer, deliciosa, y hablando de lo tradicional en mi opinión Vinnitsa es una de las ciudades que más guardan la esencia de Ucrania, su cultura y tradición.